The Sciencenter and Cornell University partnership has been featured on CAISE’s Perspectives blog as part of its Spotlight series on university and museum partnerships. This is a follow-up to SENCER-ISE’s Spotlight post in March 2015. 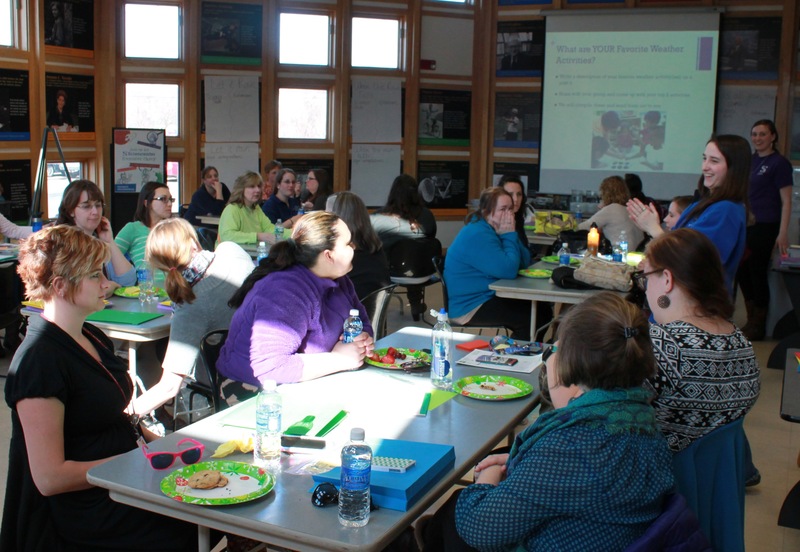 Sciencenter educators, Cornell University students and ECC Lab researchers conduct a workshop for Head Start teachers. The Cornell University’s Early Childhood Cognition Lab and the Sciencenter are partnering to research early childhood learning and share their findings with parents, caregivers, and teachers. Continue reading to learn more about the partnership and its work.